Retail Minded’s Founder Nicole Leinbach Reyhle is recognized as a global retail thought leader from companies that include IBM, American Express, Vend and more – including having been recognized as #3 out of 100 worldwide retail influencers. Reyhle regularly contributes to media outlets that include Forbes, Entrepreneur, NBC and others – as well as speaks at worldwide events with a core concentration on commerce and consumer experiences. In addition to Retail Minded, Reyhle is also the Co-Founder of the Independent Retailer Conference and Author of the book “Retail 101: The Guide to Managing & Marketing Your Business” from McGraw-Hill and has supported American Express’s Small Business Saturday as their Spokesperson since 2014. Through Retail Minded’s extensive retail research and on-going support to the retail community-at-large, retail companies, conferences and communities looking for an informative and engaging presentation can trust Retail Minded’s Nicole Leinbach Reyhle to deliver timely, relevant insight discussing the at-large retail landscape or more specifically on one of the many factors that influences today’s commerce environment. Plus… Retail Minded is also happy to customize a workshop specific to your needs! 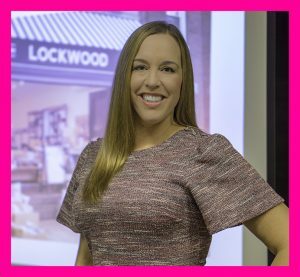 To learn more about how Retail Minded’s Nicole Leinbach Reyhle may be able to help your organization or business through a keynote, seminar or workshop, contact Retail Minded today! Downer’s Grove Downtown Management Corp.